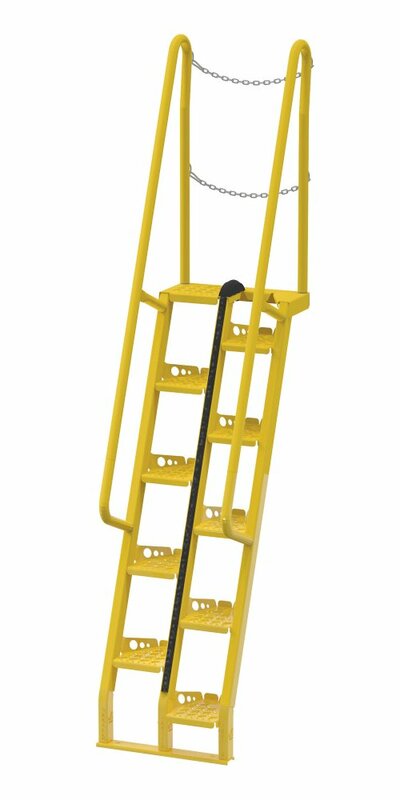 Alternating Tread Stair Ladder, 10ft Height (120" to top step), 68° Climb Angle, Powder Coated Steel, Safety Yellow. 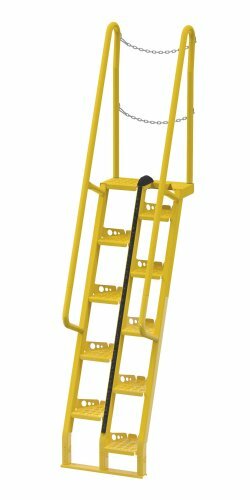 10 ft. Alternating-tread Stair Ladder with 68° Climb Angle offers a shorter span than traditional steps. Features handrail on each side of unit, dual safety chain at the top of the stair and formed steel steps with raised surfaces for better traction. Welded steel construction with bolt-on handrails. 10 ft. Alternating-Tread Stair Ladder has a height of 120" to the top step.